We are an owner-operated spray foam insulation company in Amarillo, Texas, working hard to provide you with the best insulation services in the area. Not only do we want to help you cut down on your energy costs, but we also want to reduce our dependency on foreign energy and become more environmentally conscious. And using the latest in insulation technology will allow us to do just that. 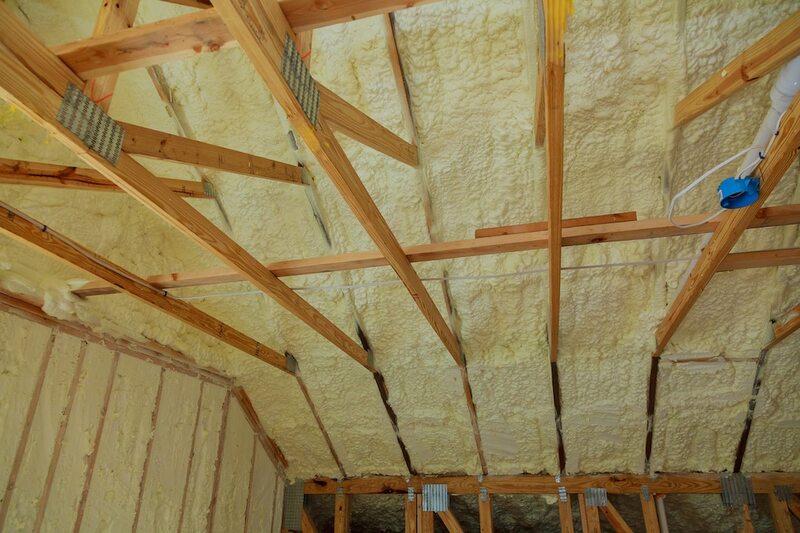 We want to take time to understand your needs and ensure that you get the best spray foam insulation service. 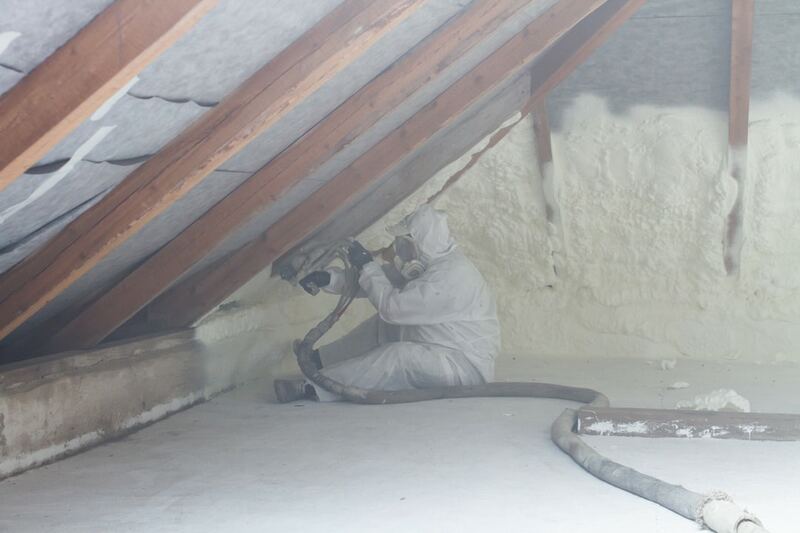 Our highly qualified insulation installers use the safest and healthiest insulation systems available today. 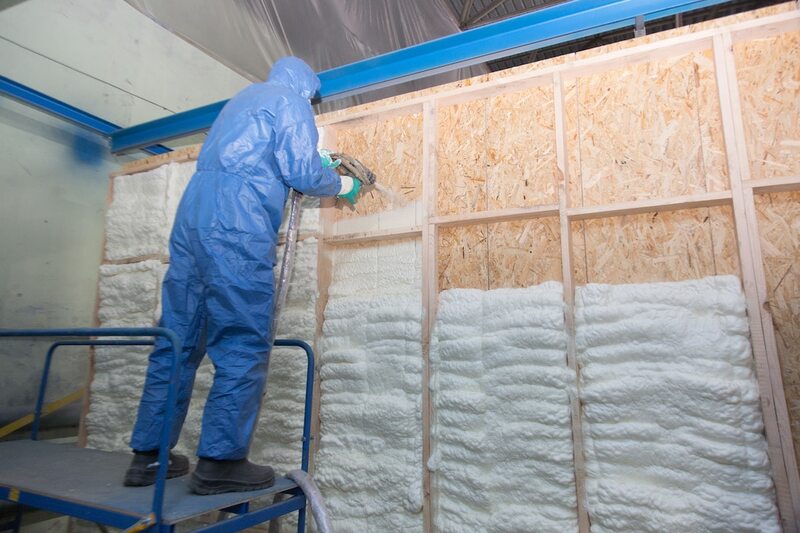 Closed-cell foam prevents air, water, dust and other pollutants from entering. 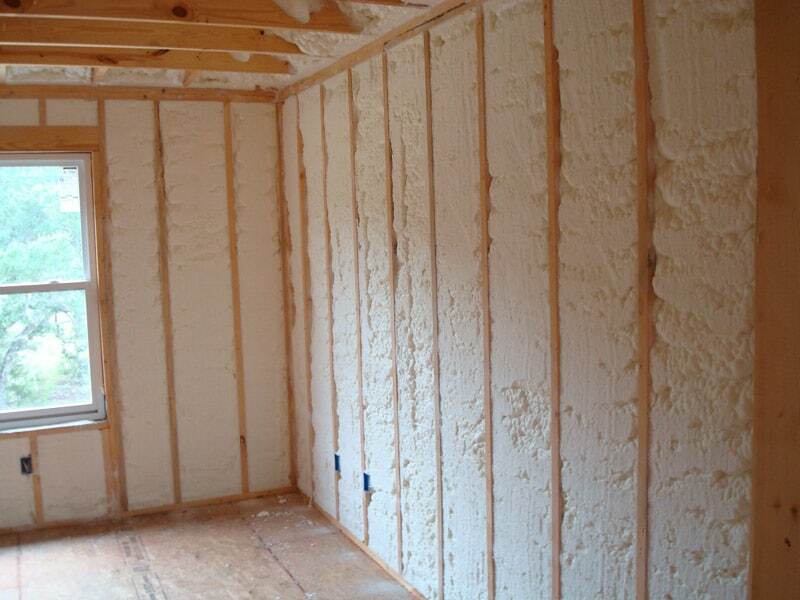 At the same time, it inhibits mold growth. 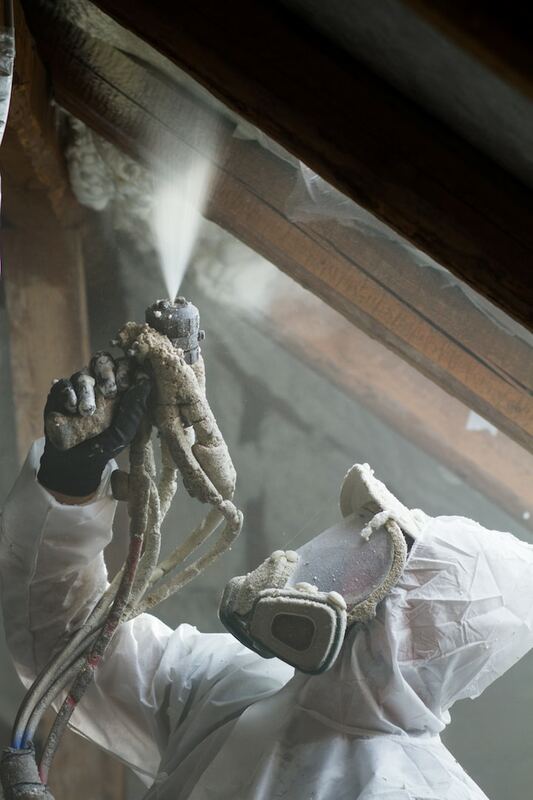 Inhalation of toxic mold is an age-old problem for homeowners. By eliminating the breeding ground for mold, spray foam ensures better indoor air quality. 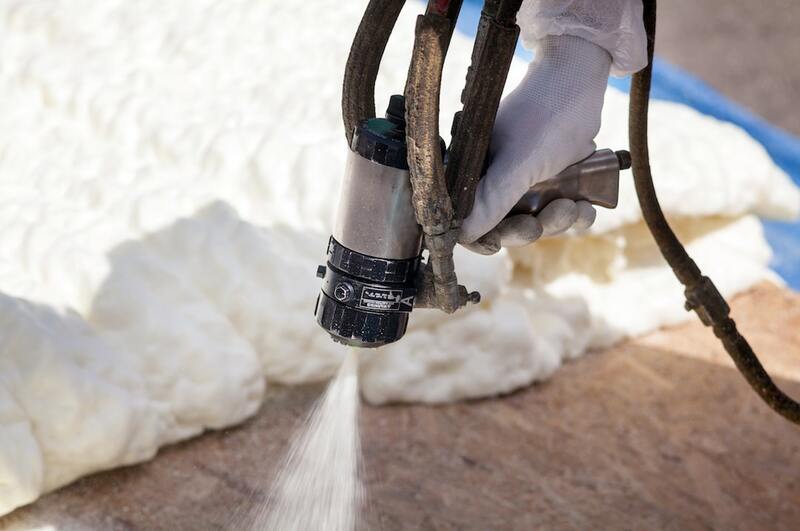 Spray foam reduces unwanted noise inside and outside the home (footsteps on upper floors, vibration from appliances etc), also called impact noise. 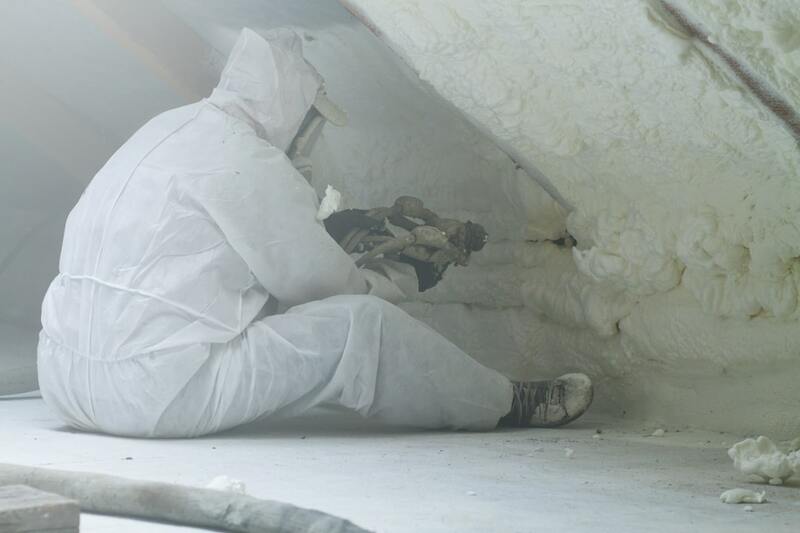 Spray foam strengthens the structure of your home. 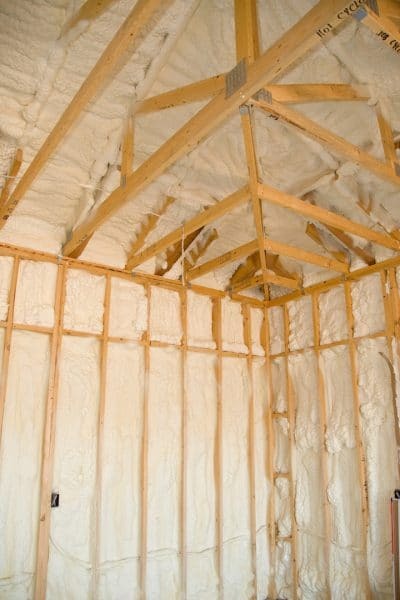 When the foam expands, it fills the gaps between each wall, floor or roof. 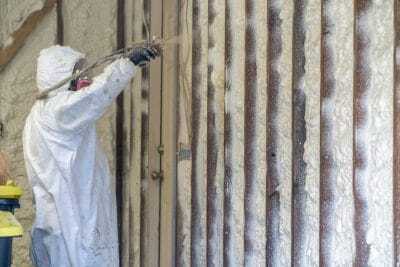 We can consider the spray test conducted by the Civil Engineering Department of Clemson University. 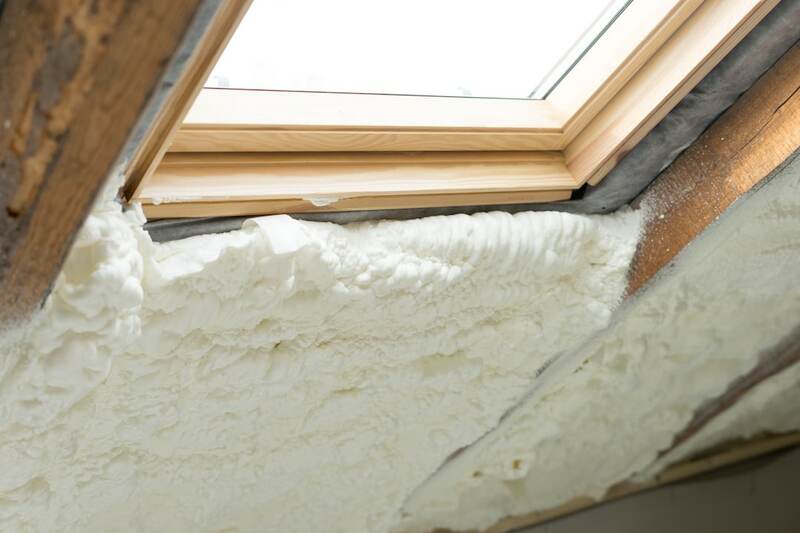 The test showed that roofs with spray foam can withstand 2-3.5 times more that roofs held alone. 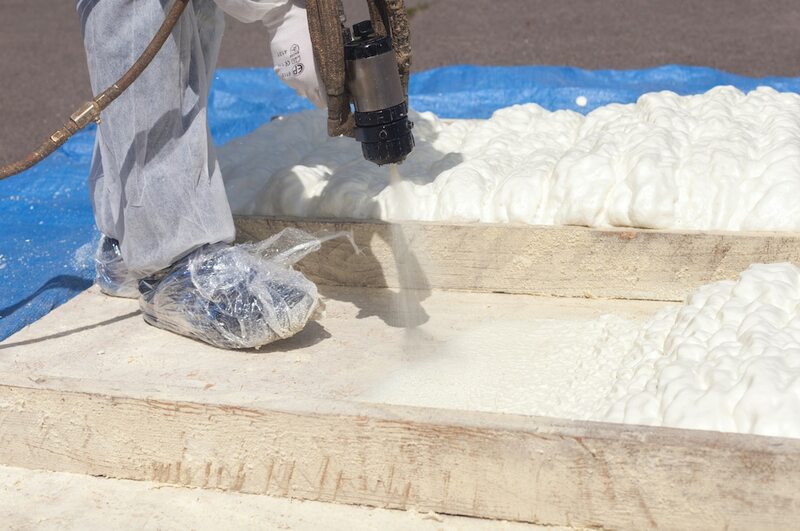 Without spray foam, the uplift resistance per square foot was 87 pounds. 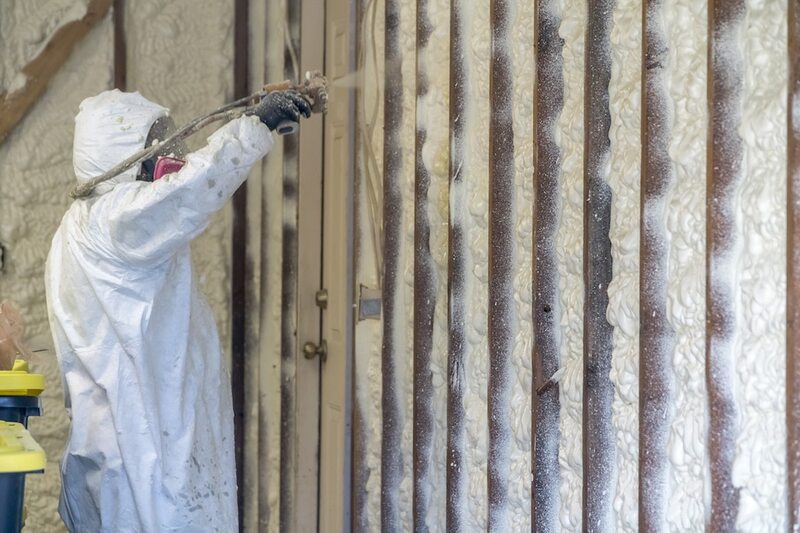 On the other hand, spray foam increased it to 314 when added. 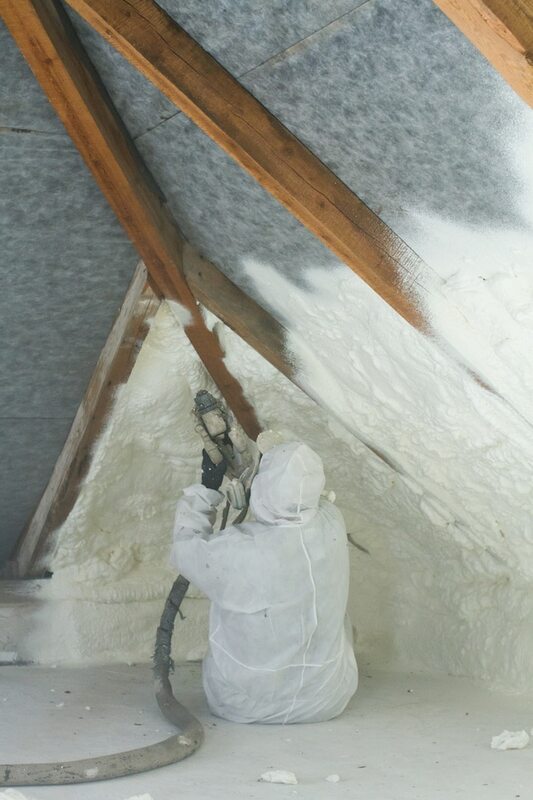 Families & businesses have been able to save 50% or more energy expenses using spray foam. On the other hand, other types of insulation have an average energy saving rate of about 30%. Ready to save on your energy bills? 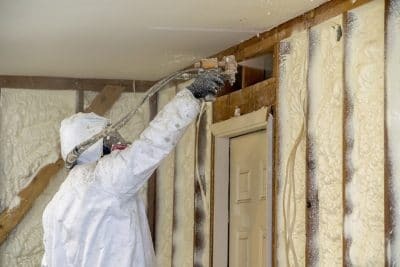 Request a free estimate. 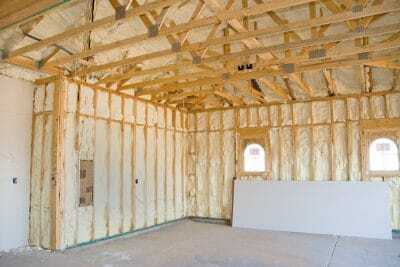 But doesn’t spray foam cost more? 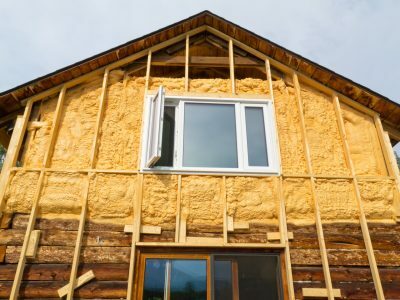 The average cost for traditional batt insulation (you know, the stuff that looks like cotton candy?) is around $1552. 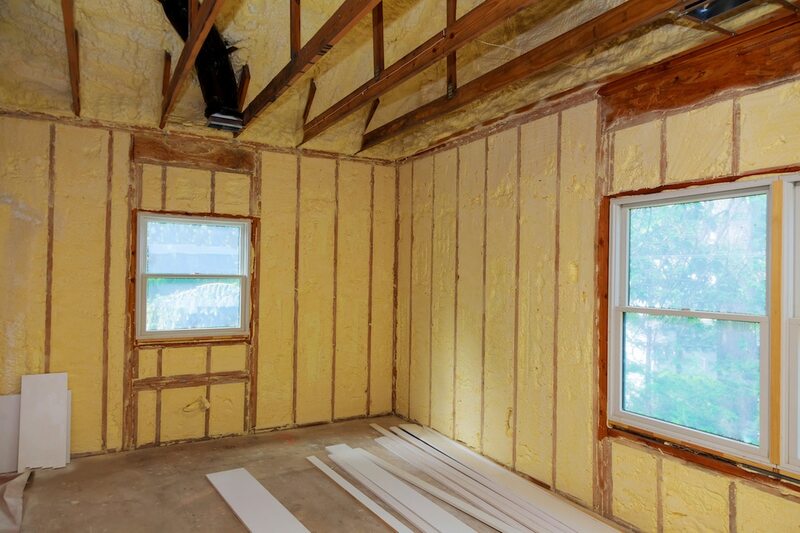 On the other hand, spray foam insulation costs anywhere from that price to multiple thousands. 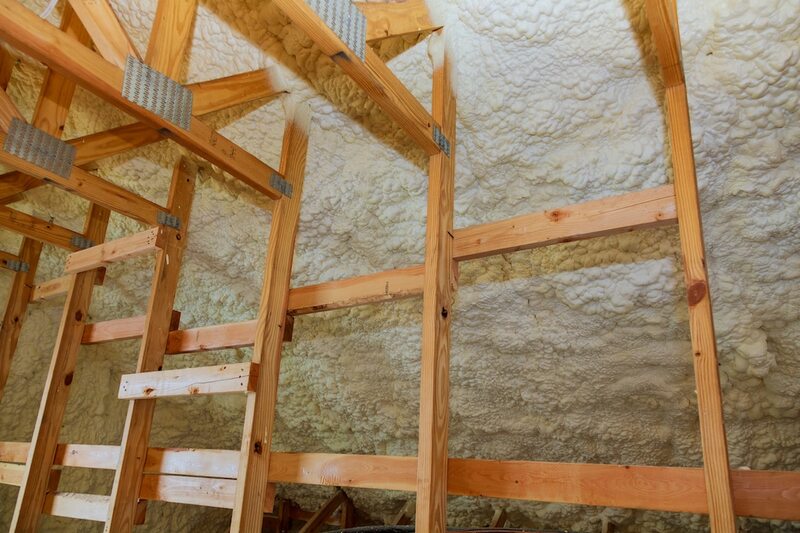 Spray foam insulation is clearly costlier here. 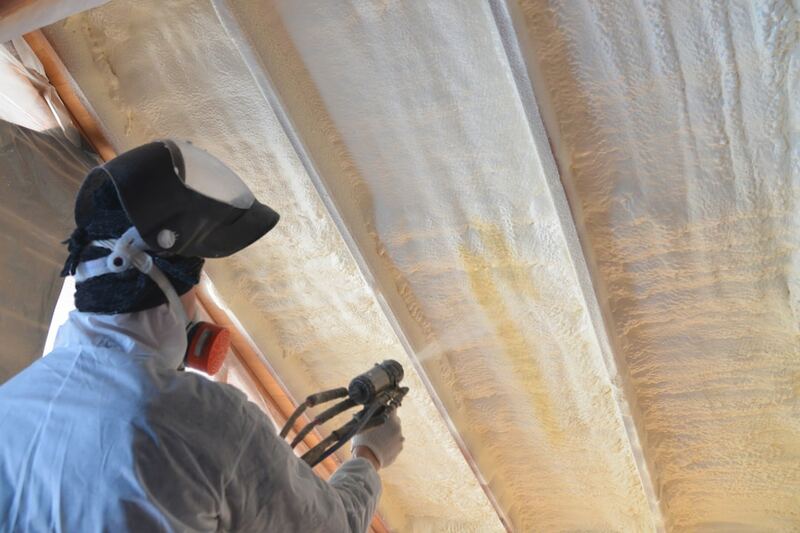 However, we cannot judge spray foam on the initial investment only. Those who are interested in spray foam insulation, know the long-term benefits of it. The initial cost versus the advantages, energy savings and ROI play a significant role in the purchase decision. 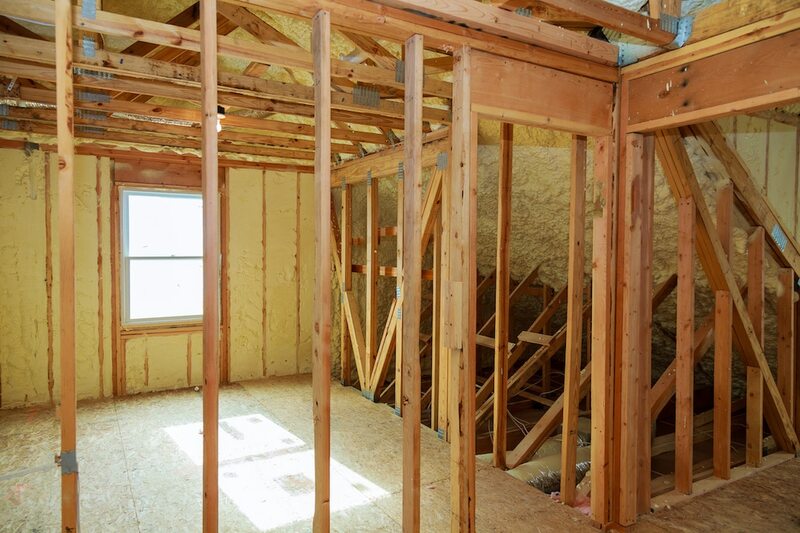 A big portion of a homeowner’s energy expenses includes heating and cooling costs. In fact, heating and cooling costs alone are as much as other costs such as lighting, electronics, water heating and refrigeration combined. According to the U.S. Department of Energy (DOE), an average home spends $1,300 annually on heating and cooling costs alone. 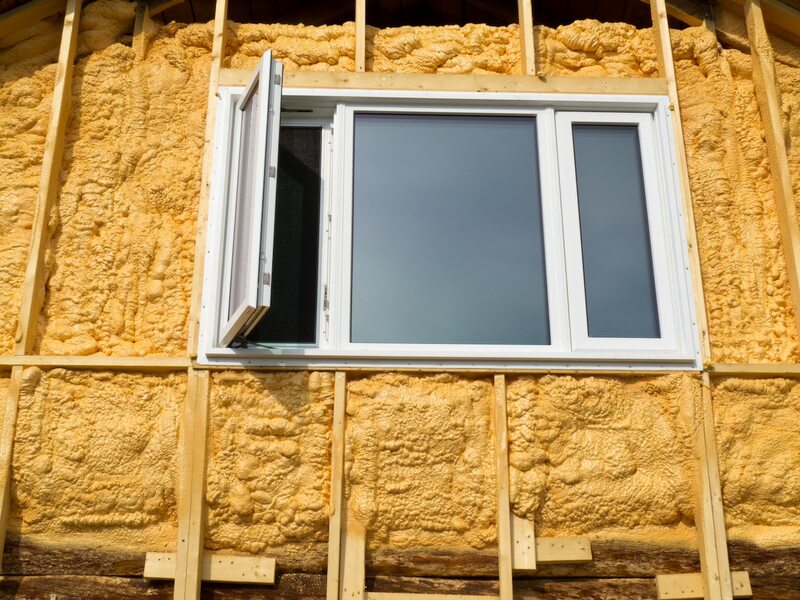 It makes good sense to homeowners to do something that will make their homes more energy efficient. 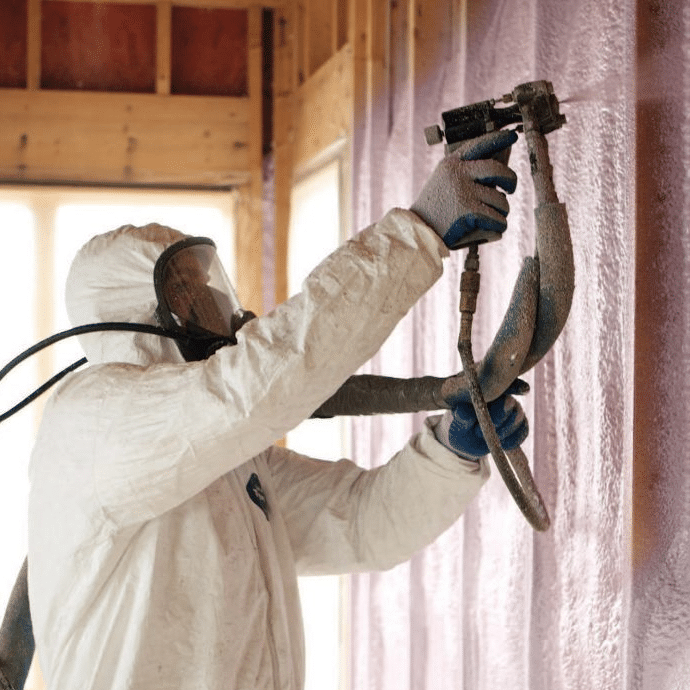 One of the best ways to do that is to use spray foam insulation. 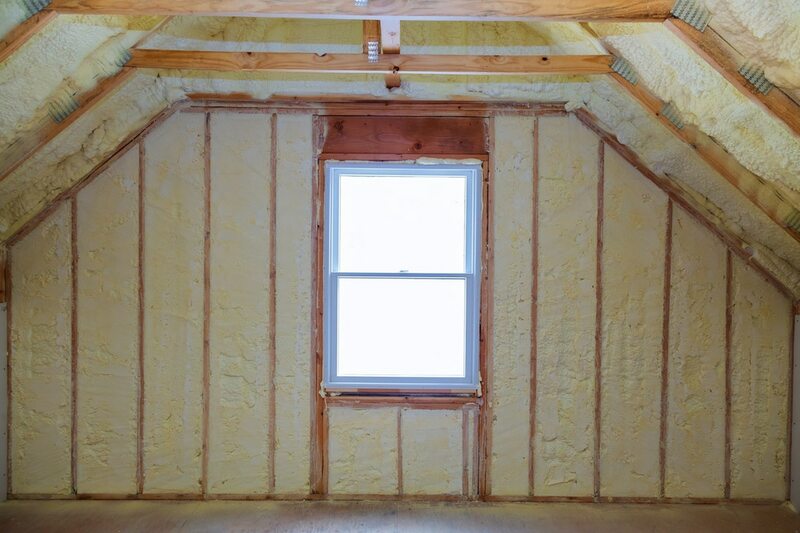 The good thing about spray foam insulation is that it makes your home warmer in wintertime and cooler in summertime by reducing energy consumption, improving indoor comfort and enhancing air circulation. At the same time, it controls the movement of air moisture. The better-controlled moisture levels make a healthier and happier indoor living environment. 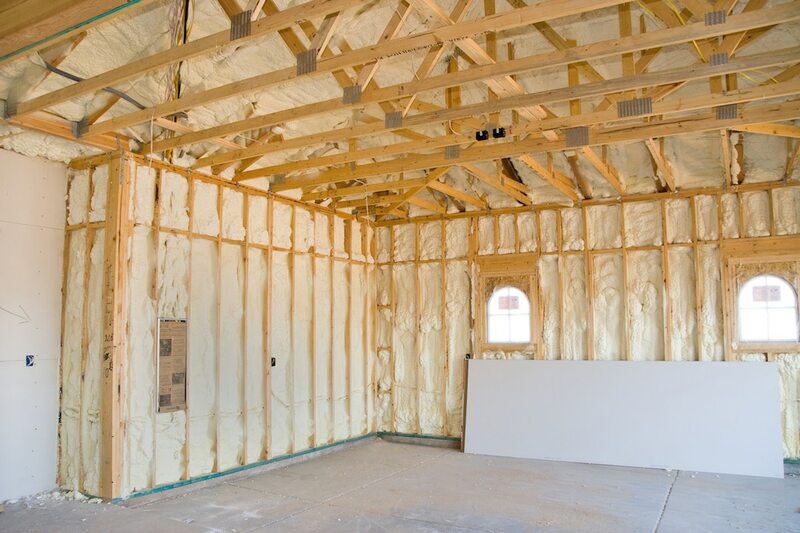 Spray foam insulation is a powerful insulation technology. It’s expansive in nature and tightly seals all nooks and crannies. 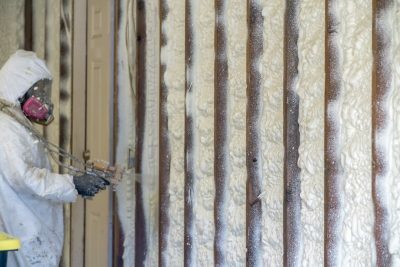 Spray foam’s resistance value is the highest on the market today (ranked at R-6). 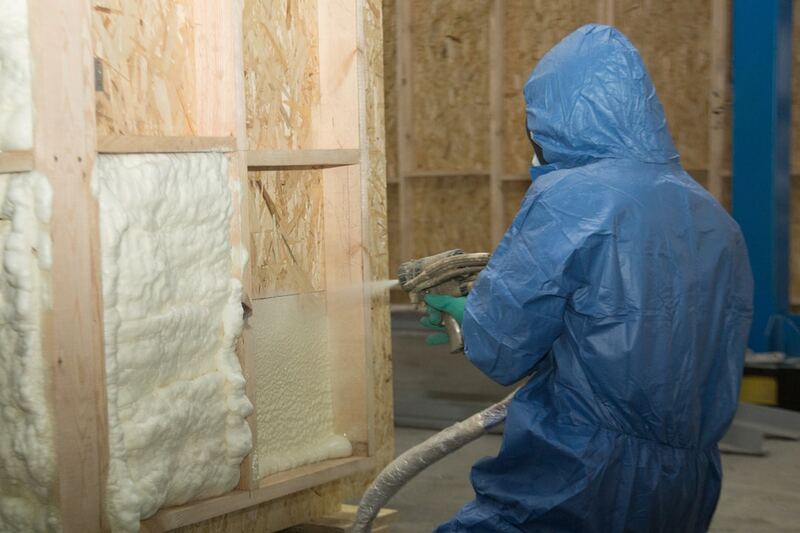 Spray foam is an eco-friendly insulation choice. 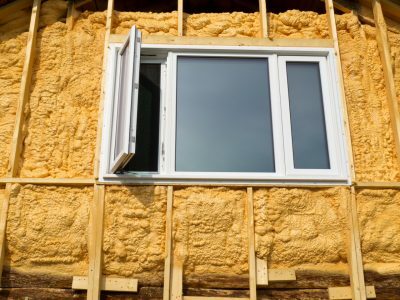 It creates a ‘green’ household by reducing energy consumption, protects against moisture and mold growth, and reduces the overall amount of consumed materials, since it lasts so long. Air leaks are one of the biggest reasons for high-energy bills. Spray foam insulation does a great job in this case, as it is highly capable of thoroughly sealing cracks or holes in your attic, walls and crawl space. 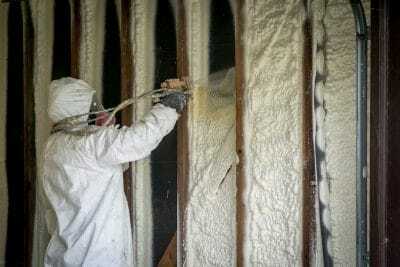 Spray foam insulation ensures a long lifespan. It allows homeowners to enjoy its benefits for decades and save money over the course of 20 years or more. Spray foam is comprised of an inert polymer that works strongly against mold and bacteria. Now you’re better protected against mold and mildew. Ready to start saving on your monthly energy bills? Are all spray foam insulation the same? Closed cells have an R-value of 7 per inch. On the other hand, Open cells have an R-value of approximately 3-3.5 per inch. 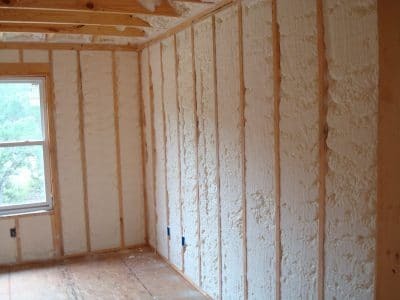 Is spray foam insulation harmful for my family? The spray foam takes 24 hours to dry. You need to take heavy protection during this time. 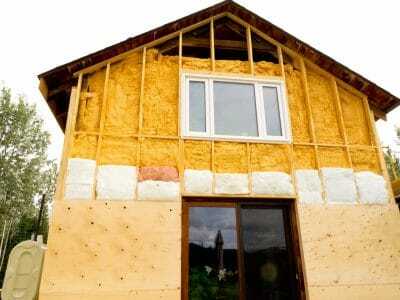 After 24 hours, it is nontoxic and in fact a better insulation material for your health. Can I complete installation myself to reduce the cost of spray foam insulation? 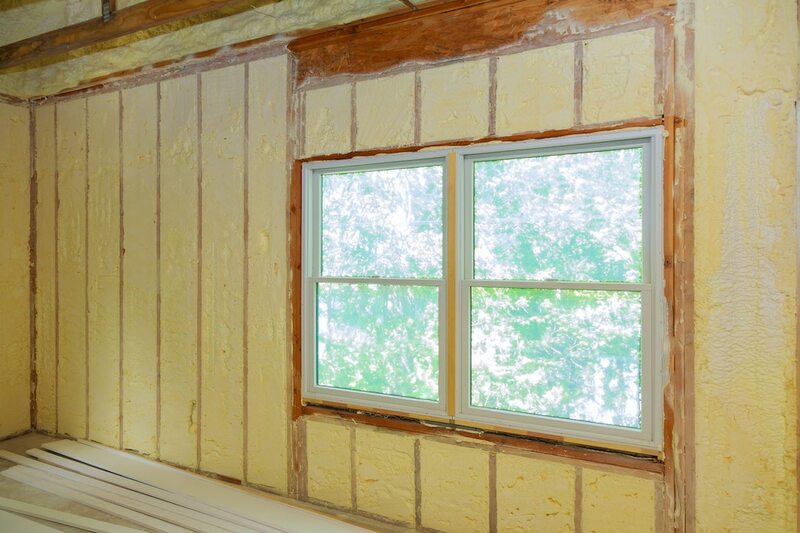 No, spray foam needs to be mixed and installed correctly in order to ensure maximum performance and durability. It requires professional knowledge. Is spray foam insulation costlier than other insulations? Yes, it is. However, its ROI & long term benefits make the initial investment worth. Cost varies for various reasons such as size, number of stories, type of foam insulation etc. Will I have to stay out while spray foam is being applied? It takes 24 hours for the spray foam to dry. During this time, it is advised to stay outside. 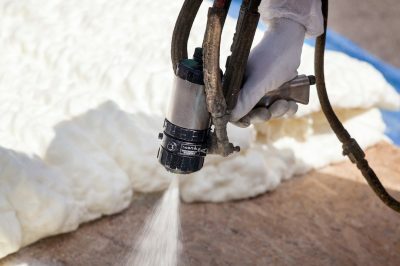 Is it possible to apply spray foam insulation to an existing home? 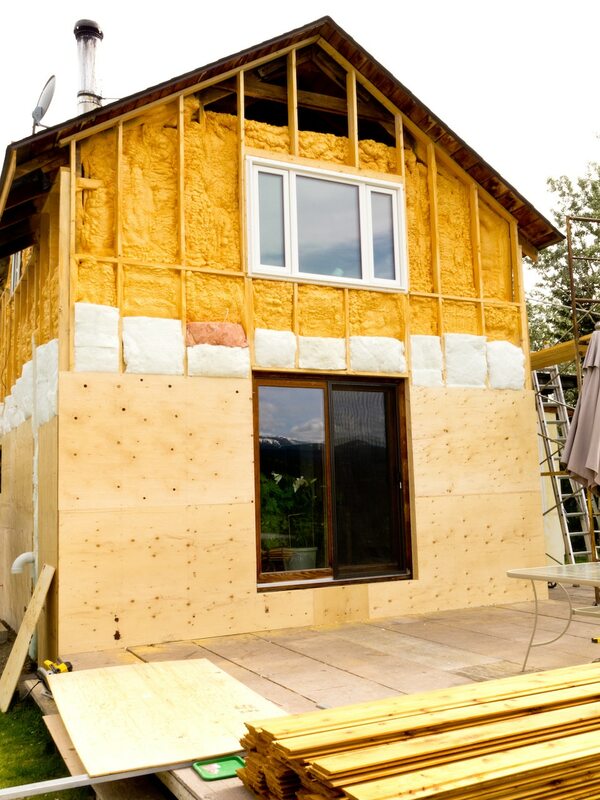 If you know the square footage of your project, we’ll be able to give you a price over the phone.